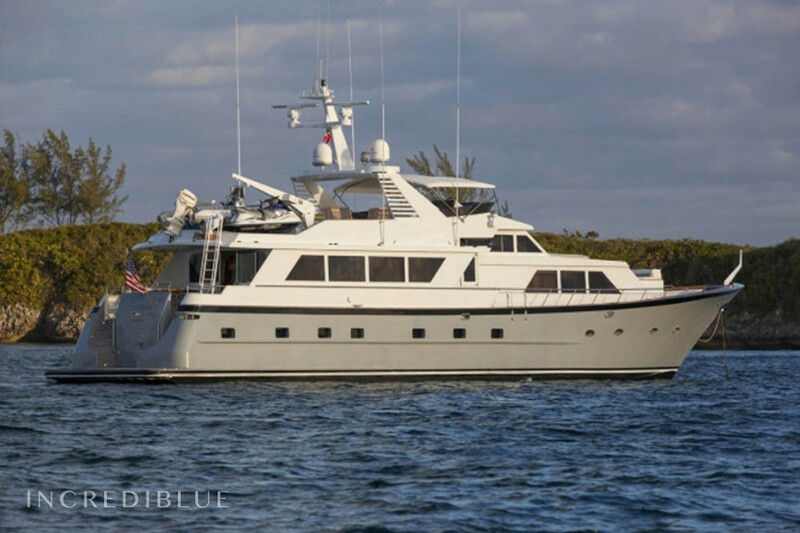 This 103’ Broward exemplifies the finest of American yacht building. 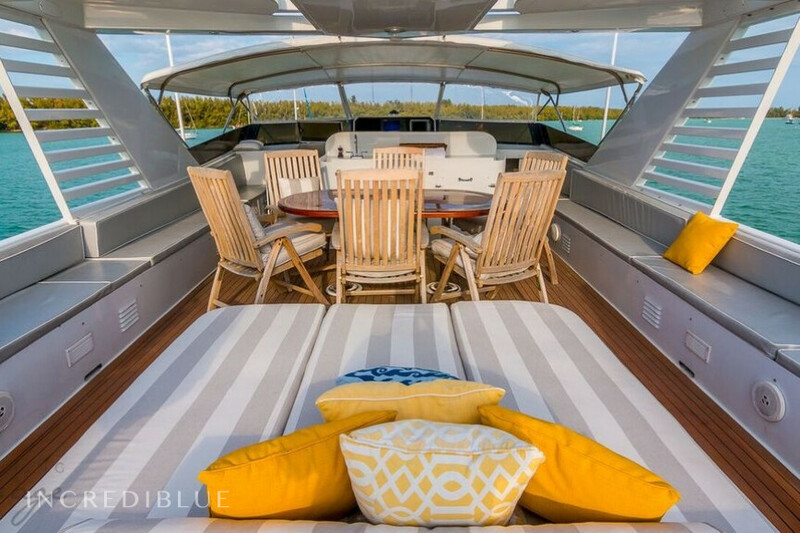 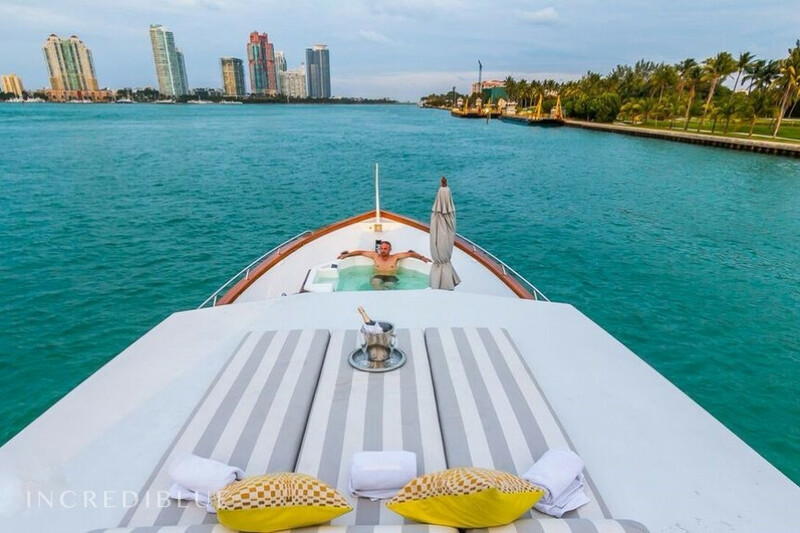 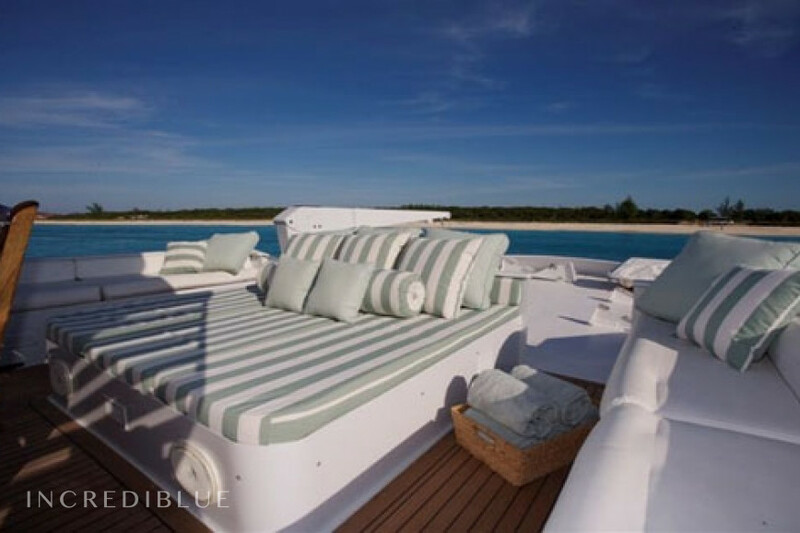 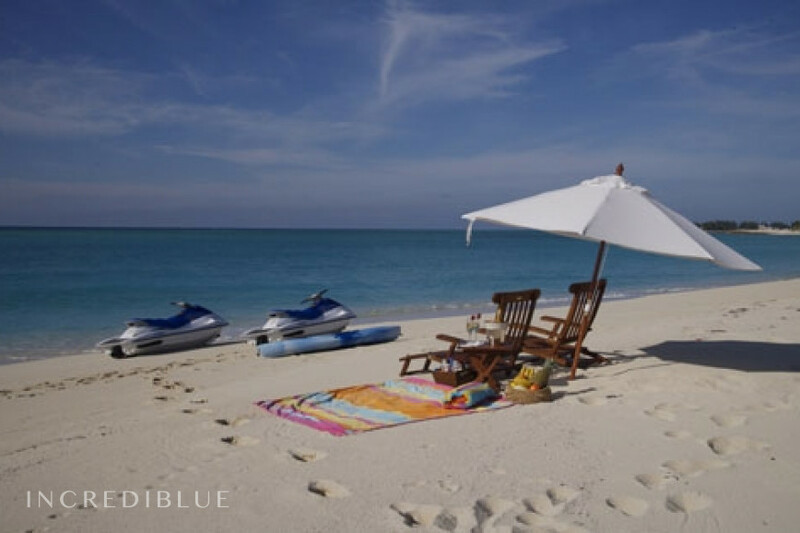 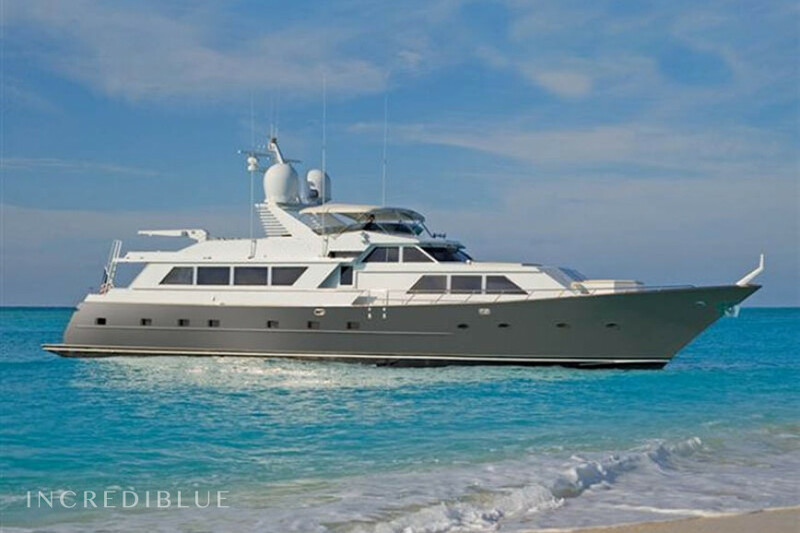 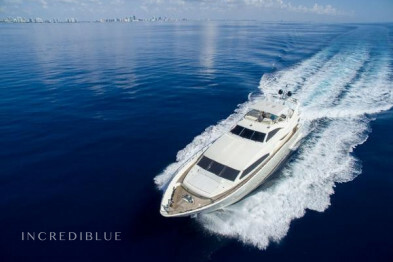 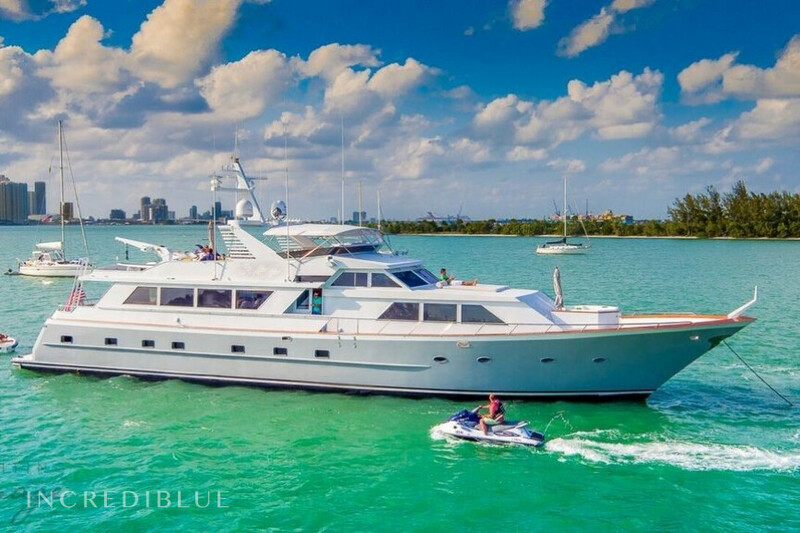 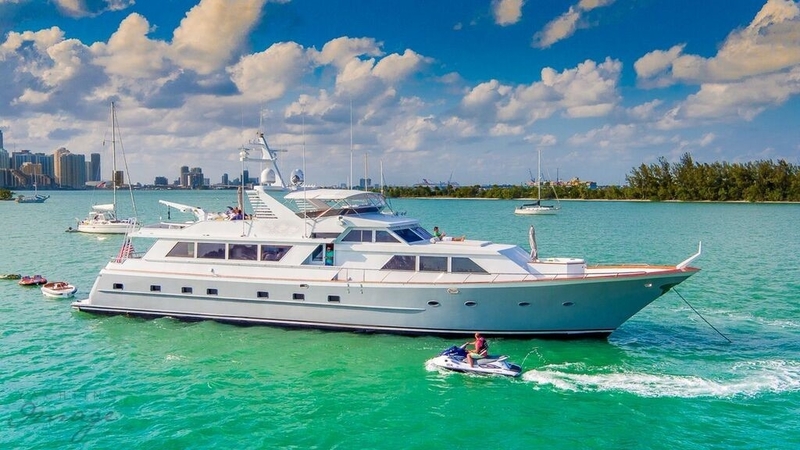 With a humongous flybridge, loaded with water toys, including a jet ski, not to mention spacious aft & foredecks, she is the perfect yacht for cruising the tropical waters of Biscayne Bay or popping over to the Bahamas for a week of fun in the sun. 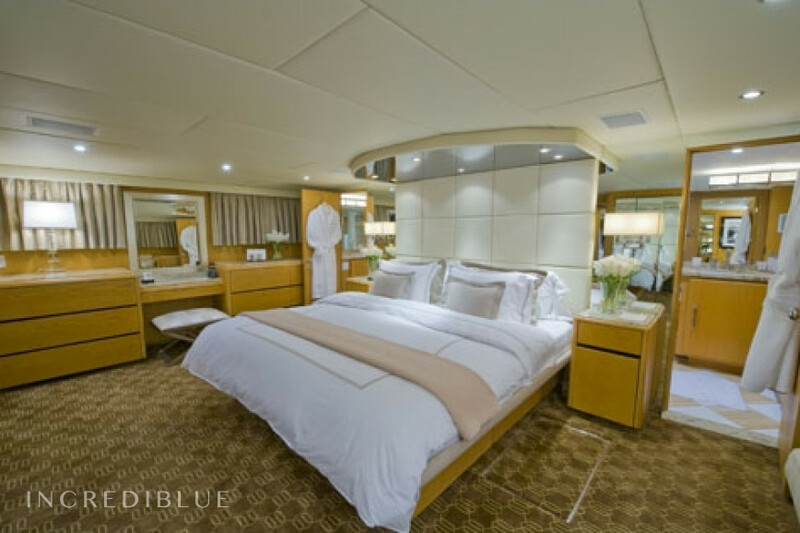 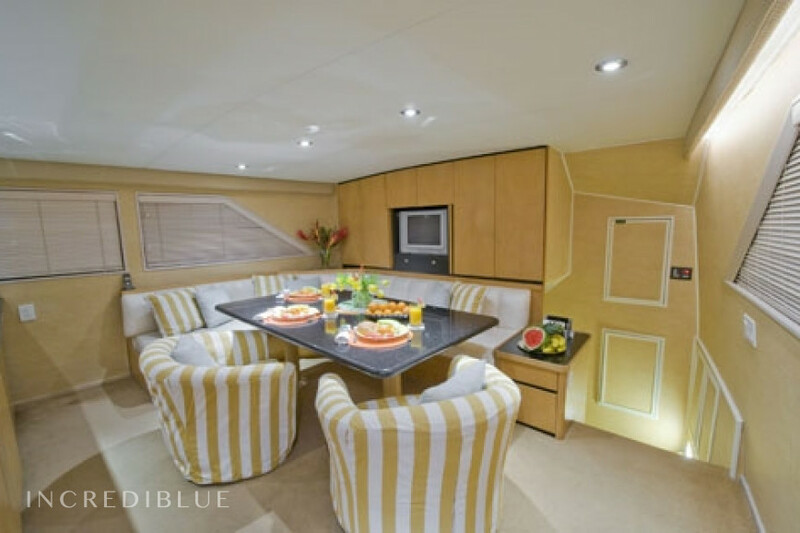 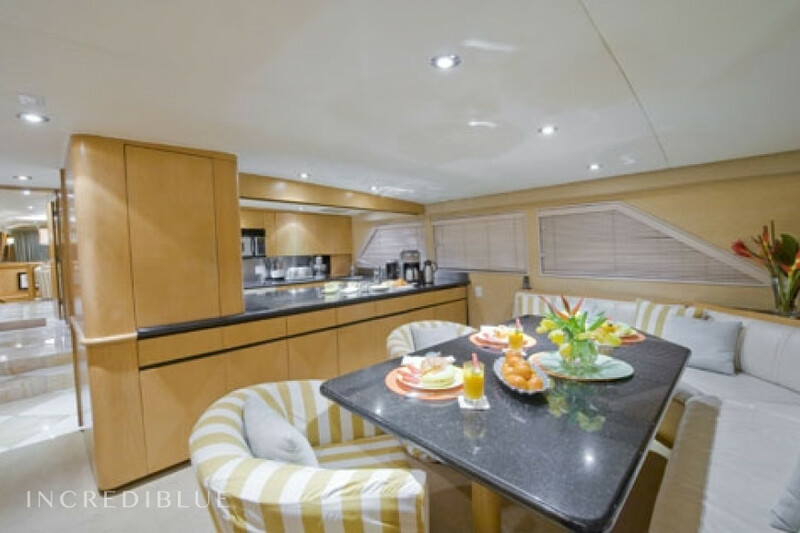 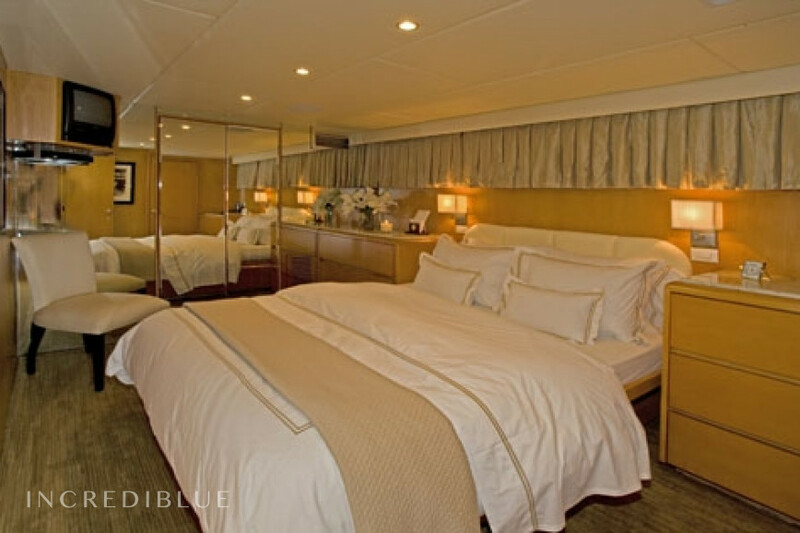 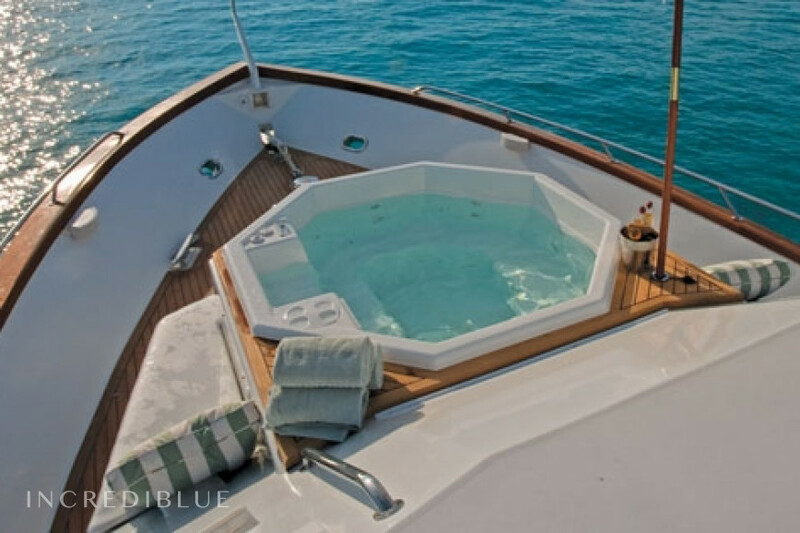 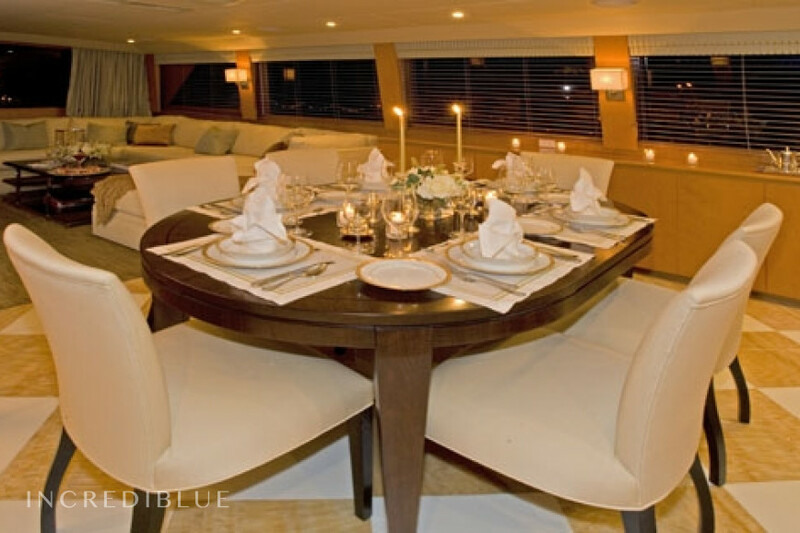 The yacht offers a variety of inviting social areas, all enhanced by beautifully grained honey teak. 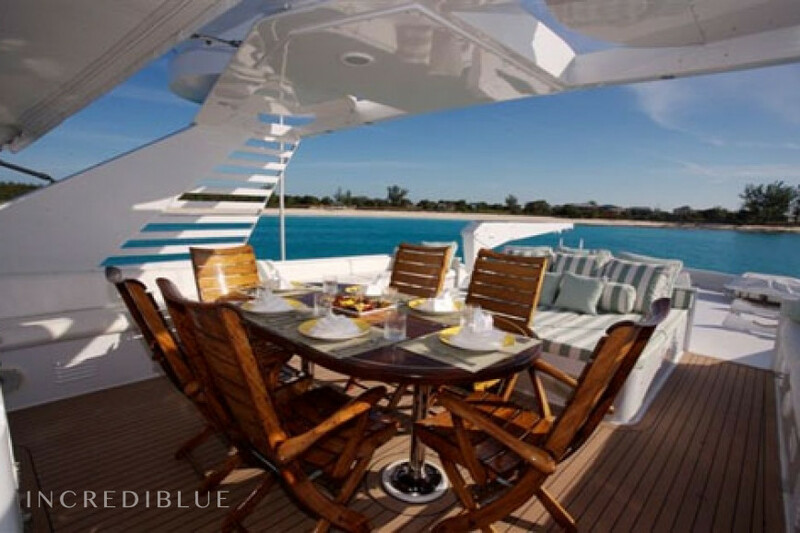 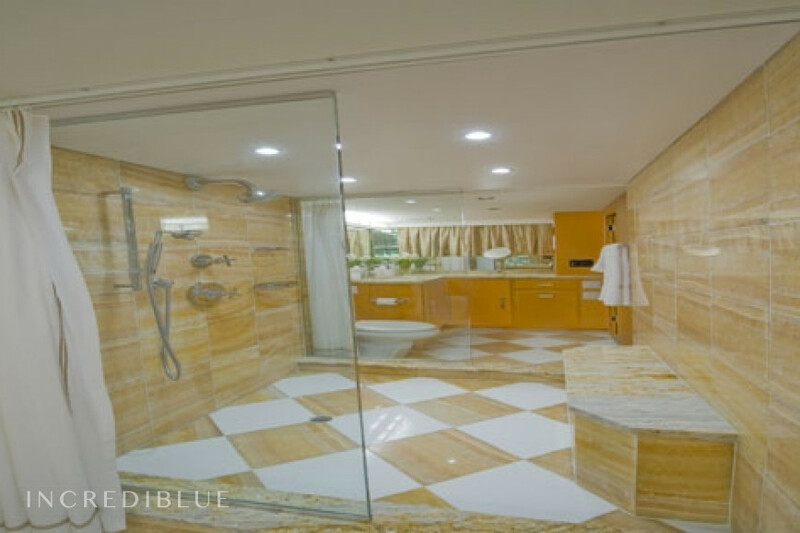 Privacy is enhanced by walk-around decks that allow crew to move about the boat without disturbing you. 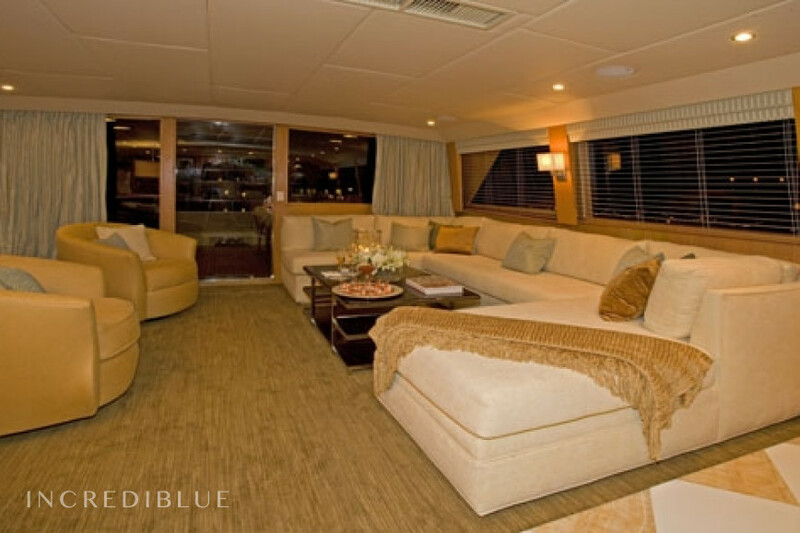 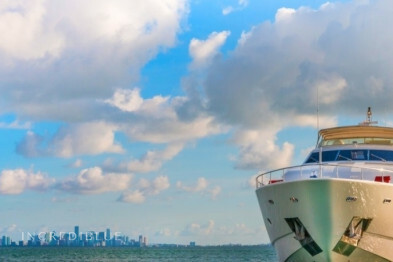 With a full service bar and a top-of-the-line stereo system throughout the vessel, good times await you! 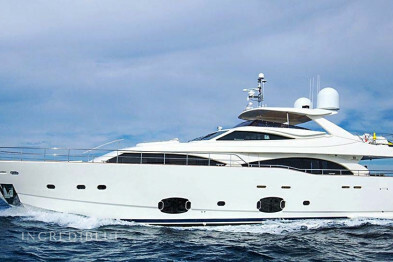 She is available at a truly compelling rate for both day and term charters. 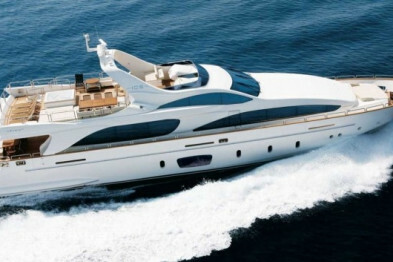 Engine power 2x GM 12V71TI, 870 HP 2 C H.P.